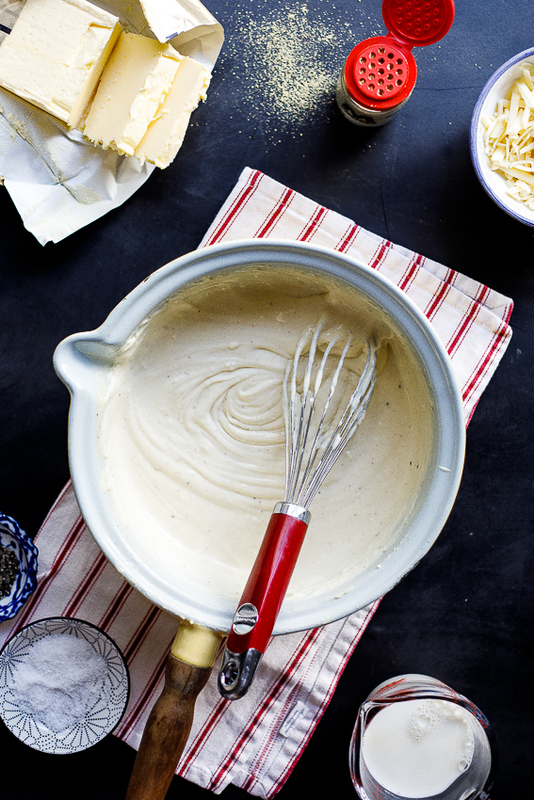 Making a classic Béchamel or Cheese sauce is a skill every home cook should have. It’s easy to make and one of the most versatile sauces to cook with. 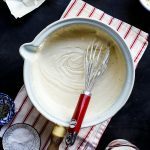 Béchamel sauce (and in turn, cheese sauce) was one of the first things I ever learned to make when I was a young teenager starting to cook. My mom used to make cheese sauce often to be baked with cooked pasta into a delicious macaroni and cheese layered with fresh tomatoes. She would serve it with crispy chicken schnitzel and would slather it on toast before grilling until golden brown for my ultimate comfort food, Welsh Rarebit. I used to watch her whisking the sauce furiously to make sure there were no lumps before adding all the cheese and delicious spices. My mom always, always, added a pinch of cayenne pepper, mustard powder and nutmeg to her cheese sauce and so, I do the same. A few years later in home economics in high school, we were tasked with making Béchamel sauce from scratch and I thought I knew everything there was to know but managed to pick up a few tricks from our very stern but knowledgeable teacher. Rule number 1: Always use enough butter as this coats the flour and helps to prevent lumps from forming. However, don’t use too much as the fat can split from the sauce creating a very oily sauce (if this happens just make a slurry of milk and flour and whisk in to the sauce. This should save it.). Rule number 2: Warm milk again helps to prevent lumps from forming. I have made my cheese sauce with cold milk for as long as I can remember because most of the time I just forget to heat it up but when I do heat the milk, I see it as another way to add more flavour so I often add a bay leaf and a few garlic cloves to the milk. But honestly, that doesn’t happen often. My biggest tip for making a perfectly smooth cheese/Béchamel sauce is to keep your whisk close at all times. I go in with a wooden spoon every now and then (mostly when I’ve added the cheese), but a whisk makes light work of lumps and ensures the spices are distributed evenly. I use my wooden spoon to scrape the bottom of the pot to make sure everything is well incorporated. 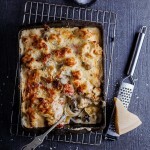 And if you’ll be turning your Béchamel sauce into a cheese sauce, remove the pot from the heat and stir the cheese in. If the sauce boils once the cheese has been added the cheese will split and your sauce will be grainy. And if you are still left with lumps after you have whisked and whisked and whisked, go in with a stick blender or transfer to a normal blender and blend away. We all have mishaps in the kitchen and what’s the point in having fancy gadgets if we don’t use them? No-one will know your sauce didn’t start off as smooth as silk. I promise! Making a classic Béchamel or Cheese sauce is a skill every home cook should have. It's easy to make and one of the most versatile sauces to cook with. Whisk continuously until the sauce is thick then turn down the heat, add the spices and allow to simmer, stirring, until the sauce is thick and cooked through (this takes around 7-10 minutes on a gentle heat). Once the sauce is cooked (the sauce will be completely smooth tasting with no flouriness) season to taste. If making cheese sauce, remove the pot from the heat and stir in the cheese. Season to taste. 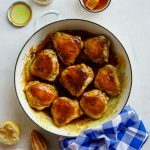 Thank you for sharing this lovely recipe. I would like to know if we could use processed cheddar or stick back to unprocessed cheddar cheese? It’s best to use good quality cheddar for this. Processed cheddar has a lot of stabilizers and that can change the texture of the finished sauce. Thank God for my stretchy pants Alida, because this happens to be one of my favorite sauces! I love mixing it with my bolognese for that deliciously creamy texture! Ooooh yum! It’s such a versatile classic, isn’t it? That just blew my mind, Tomatoey , cheesy creamy, Meaty POW! Your video makes it look so simple. Have you tried this with alternative milks? I’m lactose intolerant so would love to be able to make this and be able to eat it. That’s because it is so simple. 😉 No, I haven’t but you could totally use other milks for this. I think coconut milk would be a bit odd tasting but nut milk would definitely work. You could even use chicken/veg stock which technically makes it a veloute. Could you add other cheese to this? Any good melting cheese will work well here. Gruyere is another favourite of mine. And you could add some finely grated Parmesan to bump up the cheesiness. Thanks for sharing this Alida. I always struggle with my white sauce but your video has made it so easy!